I didn’t do too badly on my summer reading list last year, conquering both the Mistborn and the Magicians trilogies for one, except that I didn’t actually read either of those over the summer. Apparently, I struggle to read when baseball is on TV and the sun is shining outside. BUT, have no fear, I have found a solution this year: the audiobook. The audiobook, when well narrated, is one of the greatest (and technically oldest, I guess) forms of storytelling ever. It makes any commute or chore worthwhile and allows you to enjoy a good story while participating in an outdoor adventure like hiking or biking or canoeing or fishing or whatever is your thing. I am by no means an audiobook pro, but I’ve learned a few tips: 1) the narrator is EVERYTHING. Listen to a sample before you buy; and 2) consider Audible’s subscription service. Audiobooks can get expensive, especially if you go for long ones, but with Audible’s subscription services, you get one free credit/book a month at the $15/month rate which is way better than paying full price (which can approach $50). See here for more money saving tips. I still plan on reading some print though, and I’m open to suggestions for great audiobooks and tips from audiobook experts. 1. 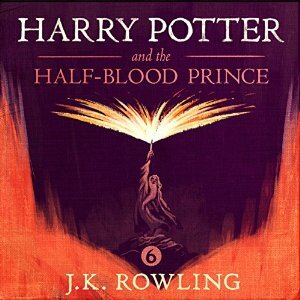 Harry Potter and the Half-Blood Prince by J.K. Rowling, narrated by Jim Dale (Audiobook). So far I have clocked around 80 hours in Harry Potter listening and words can hardly describe the experience. The narrator, Jim Dale, is phenomenal, and his voice is like liquid happiness. 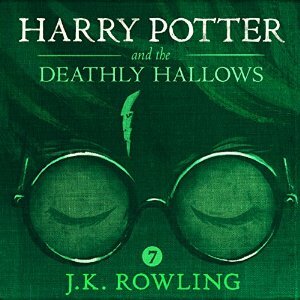 Having read the books and seen the movies so often, I didn’t think there was any way to relive the feeling of experiencing Harry Potter for the first time, but I have found that in the audiobook. If you are a Harry Potter fan, I highly recommend this experience. 2. 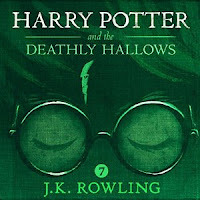 Harry Potter and the Deathly Hallows by J.K. Rowling, narrated by Jim Dale (Audiobook). Naturally, this follows. 3. 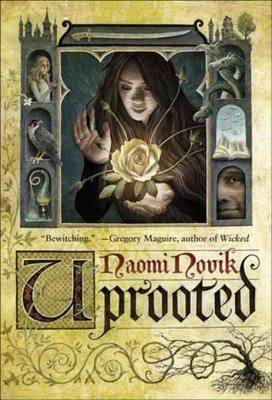 Uprooted by Naomi Novik (Print). This book seems very much up my alley. I like that it is a stand-alone, as a new series is too much for a summer commitment. As I’m sure I don’t need to point out, Uprooted has received much praise, both in the greater SF/F community and here on NOAF. 4. 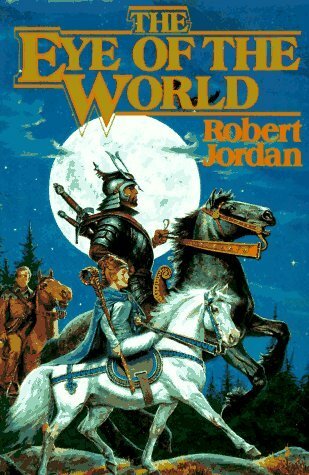 The Eye of the World by Robert Jordan (Print or Audio, not sure). Yes, I know this completely contradicts my previous statement about not wanting to start a series, but I am actually only interested in reading this first book. I keep going back and forth about diving in to the behemoth that is Wheel of Time so I think it is best to just test the waters. 5. 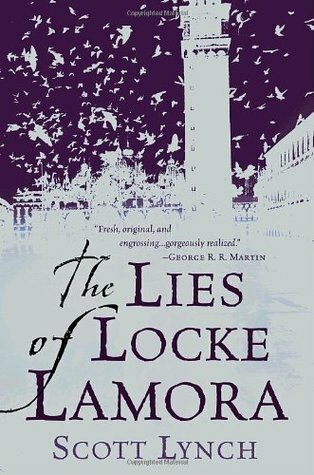 The Lies of Locke Lamora by Scott Lynch, narrated by Michael Page (Audiobook). This is another ‘must read’ that I downloaded an e-book sample for but never read more than a few pages. I hear good things about the audio version so I will at least give the first in this series a listen. 6. 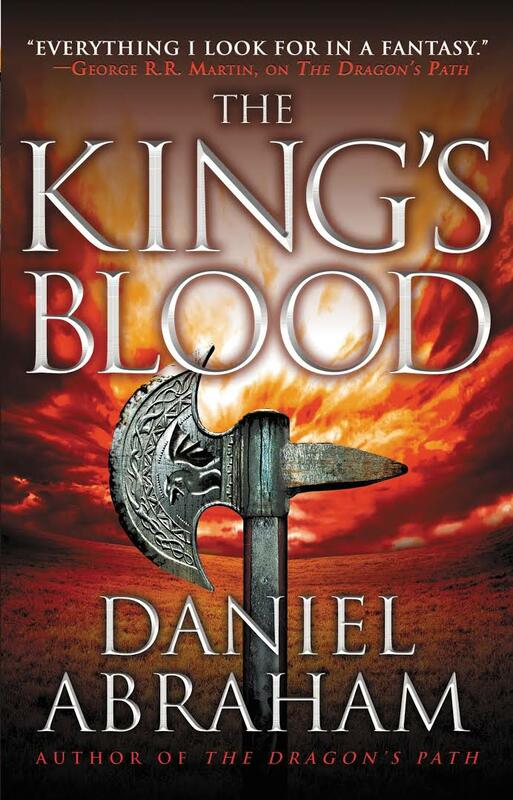 The King's Blood by Daniel Abraham (Print). Amazon just informed me that I purchased this item on May 10, 2012. Shortly after I stopped reading it because I was appalled by Abraham’s representation of women. Here’s the thing… I can’t remember why. More than once recently this topic has come up in conversation and I want/need to reread this book so I can tell you all why I feel this way, if indeed, I still do.